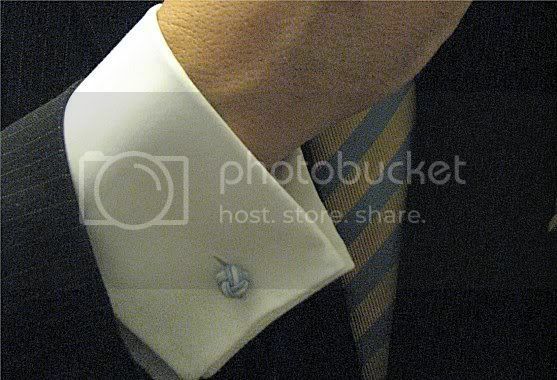 I used silk knots rather than cuff links because silk knot allow a little more freedom to conglomerate in some color. I got several different colors because it's a white shirt that I can wear with nearly any tie. The pocket square is a Carot and Gibbs that has a navy and red paisley pattern in the middle but I only wanted the blue border with gold trim to show. So that's how I folded it. 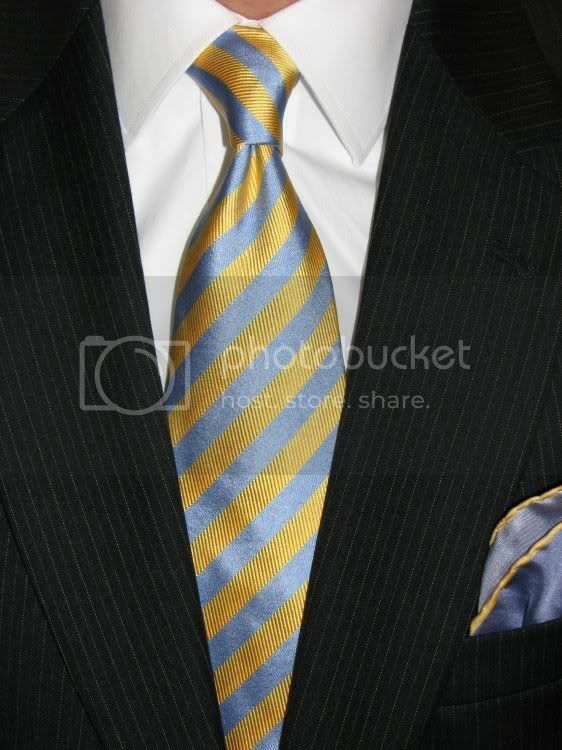 Pocket squares are a bit of a new art for me and it will take a little time to get that part of conglomerating in line. I love your conglomerates! It's nice to see new and fresh ideas. I will be staying tuned.